The demo for NieR: Automata will be available for PlayStation 4 on the PlayStation Store in North America and Europe on 22 December, the same day it launches in Japan, Square Enix has announced. Related reading: The game art canon, and why Nier is the best game ever made. 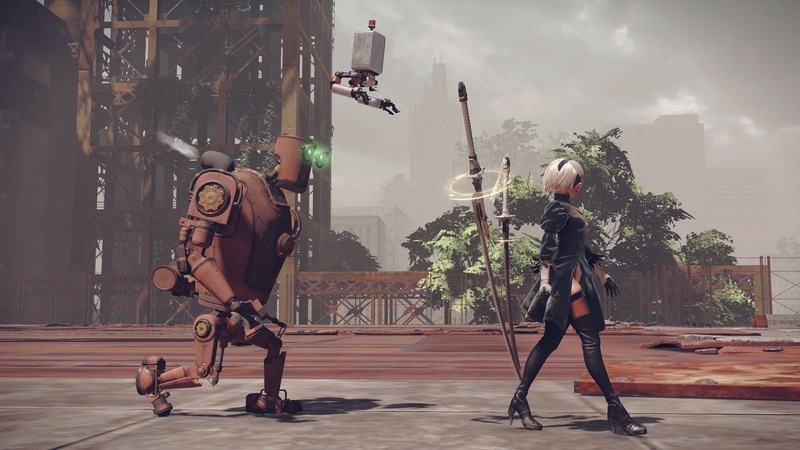 The demo is set in an abandoned factory and follows android 2B’s mission to destroy a massive enemy inside. NieR: Automata is set in a future where mankind has retreated to the moon and left sentient androids in their stead to do battle with robot invaders from another world. The game will be more action-focused than its predecessor, however, it will retain the original game's open-world structure with plenty of sidequests and loot to find. NieR: Automata will launch for PlayStation 4 in Japan on 23 February, in North America on 7 March and in Europe on 10 March. A PC release is due out in 2017. Electronic Arts has announced its second EA Originals (the first is Fe by Zoink Games, announced at E3 this year) to be Sea of Solitude, an adventure game from the Berlin-based Jo-Mei Games. The theme explores the scenario that humans turn into monsters when they get too lonely. This adventure is about Kay, who has turned into a monster, and her journey through the Sea of Solitude, to find out what happened to her. She soon finds out that her biggest enemies are not the huge monsters she meets on her way but something way more dangerous. Watch the first gameplay footage with developer interview below. AnyArts Production, an independent developer based in California, has announced Seasons of Heaven, a new adventure game coming exclusively to Nintendo Switch. The story of Seasons of Heaven is based on a French novel of the same name - Les Saisons Du Paradis - by Nicolas Augusto. 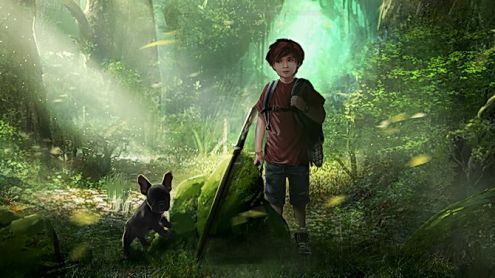 It centres on a group of survivors in a post-civilisation world and follows Yann, a young boy with Asperger’s syndrome, together with Ani, his French bulldog. Both characters are playable. "This story will allow you to experience the awe of discovering the most beautiful, magical place that ever existed while at the same time staying only one step ahead of the dark and vile underbelly of the human race. Most importantly Seasons of Heaven will awaken your imagination and open your mind to possibilities you may never have considered. It will have you on the edge of your seat as you question everything you thought you knew about humanity and begin to realize that the possibility of things existing that can't be seen with our eyes but only felt within our hearts and souls, really do exist." The developer said players will be able to alternate between two characters with separate gameplay sequences. Music Proposition and SiMPLiSTiC have revealed a teaser trailer, mainly highlighting music and mood for its upcoming RPG, The Sacred Hero. According to developer Simplistic, it is "a unique adventure game that twists the conventions of the RPG genre." The game, which was at first set as a Retro-2D RPG for PC only, is now making the step from 2D to 3D. The Sacred Hero is expected to arrive on PC and Nintendo Switch in 2018.